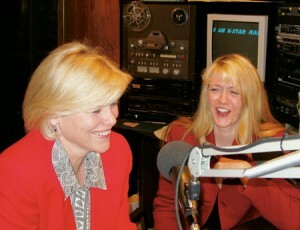 There is a lot of talk going on at Utah’s KSTAR radio thanks to Roberta (Robbie) Henry Lawler, ’78, and Kimberly Power Stilson, ’88, who have started Healthy Wealthy Wow—a new talk radio show for women. “Our minds collided in one big ‘aha’ moment,” Stilson says. She and Lawler, who had each previously hosted their own radio shows, decided to combine forces and start a new women’s talk show. As its title suggests, the show is divided into three segments: health, wealth, and “wow” (the wow portion covering everything from hobbies to chocolate). “Everyone has a story to tell,” Lawler says. To build bonds with and among audience members, Healthy Wealthy Wow also sponsors “Grapevine Gatherings.” “This is where women have an opportunity to meet people, obtain information, and be pampered,” Stilson says.